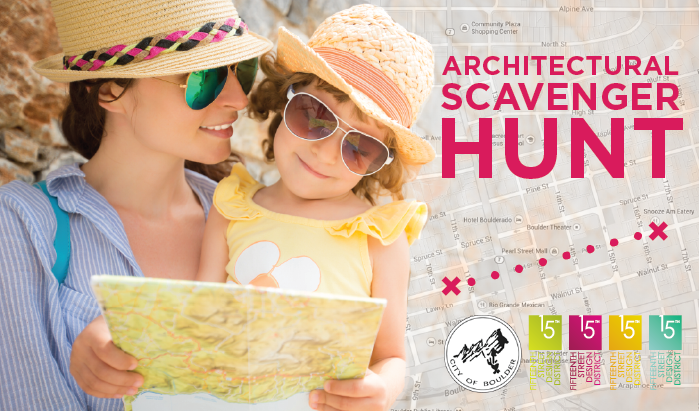 Here’s your chance to explore Boulder’s hidden architectural treasures while playing a fun, interactive game with friends or family! 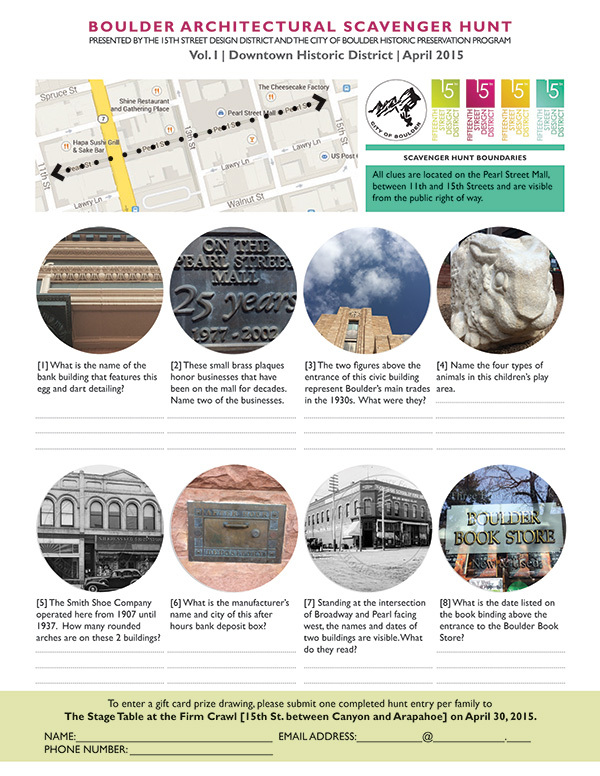 The Scavenger Hunt leads you up and down Pearl Street (between 11th and 15th Streets) to solve clues and discover details about Boulder’s architecture. Once your team has solved all the clues, return your completed entry to the Stage Table at the 15th Street Design District Firm Crawl on April 30, 2015. Afterwards, stay for the festivities including Live Music, Art, Food & Drinks, plus Games & Face Painting! All teams who complete the hunt are eligible to win a prize. We encourage you to participate in the Scavenger Hunt in teams. No special skills are required to participate.